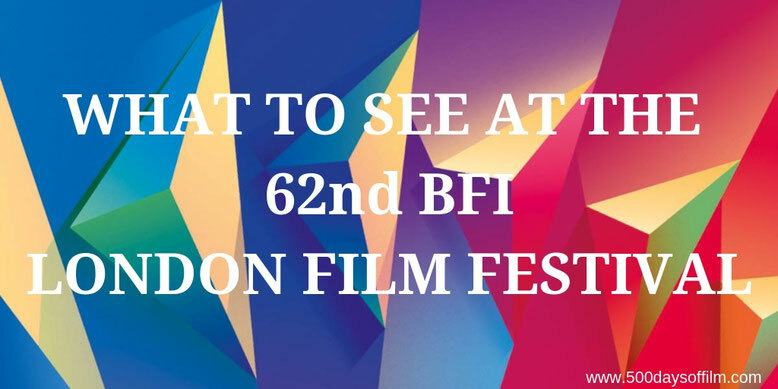 Today sees the start of the 62nd BFI London Film Festival (LFF). The event kicks off with a screening of Steve McQueen’s Widows and concludes on 21st October with Jon S. Baird’s Stan & Ollie (starring Steve Coogan and John C Reilly). While many screenings are sold out, some LFF tickets remain available. Just click here to see the Festival schedule and what films have seats still up for grabs. Alternatively, you can try your luck in the returns queue 45 minutes before each screening at the Box Office at each venue. For Embankment Garden Cinema, there will be a dedicated box office on site. For Cineworld Leicester Square and Vue Cinemas stand-by queues you can go to the BFI mobile box office located in Leicester Square Gardens. Synopsis: When Veronica’s husband is killed during a daring heist, she (Viola Davis) and the wives of the men he worked with discover money was owed to some particularly nasty people… and now they want it back. Synopsis: In 1953, several years after their last film and with their celebrity on the wane, Stan Laurel and Ollie Hardy embark upon a tour of British seaside towns and music halls. Synopsis: It is the early 18th century and England is at war with France. Queen Anne (Olivia Coleman)’s poor health finds her reliant on her friend, Lady Sarah (Rachel Weisz). However, their relationship is tested by the arrival of Sarah’s cousin, Abigal (Emma Stone). Synopsis: An anthology of six Western tales, the BFI programme calls The Ballad Of Buster Scruggs “wildly idiosyncratic, undeniably hilarious and often touchingly melancholic”. Synopsis: A father struggles to deal with his son’s drug addiction. Synopsis: The early 1990s finds writer, Lee Israel (Melissa McCarthy), struggling to find her place in the world - both professionally and personally. Spurred on by roguish drinking buddy, Jack (Richard E Grant), Lee tries a get rich quick scheme - with surprising results. Synopsis: Democratic candidate, Gary Hart (Hugh Jackman), was the man to beat in the 1988 US Presidential campaign. However, his career was destroyed by devastating allegations concerning his private life. Synopsis: A biopic of The Sunday Times war correspondent, Marie Colvin. Synopsis: A homage to Dario Argento’s classic horror, Suspiria follows Susie Bannion (Dakota Johnson) as she auditions for a prestigious international dance school. However, things are certainly not all they seem. Synopsis: A historical drama about the life of Robert the Bruce. Synopsis: In Mexico City, 1970, Cleo (Yalitza Aparicio) is a live-in domestic worker of Mixteco heritage. She is employed by middle-class mother of four, Sofia (Marina de Tavira), who struggles to cope with the extended absence of her doctor husband. Cleo loves the children as if they were her own but her work leaves little space for a personal life. Synopsis: Terry Gilliam’s imaginative adaptation of Miguel de Cervantes’s picaresque novel. Synopsis: Recovering alcoholic, Detective Mike Hoolihan (Patricia Clarkson), is haunted by a mysterious murder case. Adapted from Martin Amis’s Night Train. Synopsis: Barry Jenkins adapts James Baldwin’s account of love, injustice and racism in America. Synopsis: A tale of a working class uprising and its violent suppression in Manchester, 1819. Synopsis: A story of what happens when innocence is faced with corruption and greed. Synopsis: Colin (Neil Maskell)’s New Year celebrations are thrown into chaos by the appearance of his estranged brother. Synopsis: Adapted from David Grann’s New Yorker article, The Old Man And The Gun tells the story of Forrest Tucker, a self styled ‘Houdini’ whose many prison breaks include fleeing from Alcatraz in a homemade kayak. Synopsis: A couple move to suburban Montana for a fresh start. However, cracks soon start to show in their marriage. Are you hoping to attend LFF this year? If so, what movies are you planning to watch? What films are you most excited about on this list?